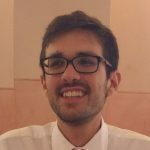 Francesco Di Bartolo is a Research Engineer at BCL and he is currently enrolled at University of Pisa as a PhD student in Information Engineering. He obtained a Master Degree in Biomedical Engineering at University of Pisa in 2017 and joined the BCL in the same year. His research activity is focused on the development of novel experimental tests/setups for characterization of cardiovascular tissues, Optical Coherence (OCT), Ultrasound (US) technologies and advanced biomedical signal processing for clinical applications.